The Chandeleur is gone, time for Mardi Gras ! Chandeleur is an old holiday in france, and most of it, we eat crepes this particular day. And for Mardi Gras, the tradition is to have a carnival in the middle of the town, dance and burn the Carnival King at the end of the day. We don't have it here in Houston, but they have one not far away in Galveston, and of course there is New Orleans ! 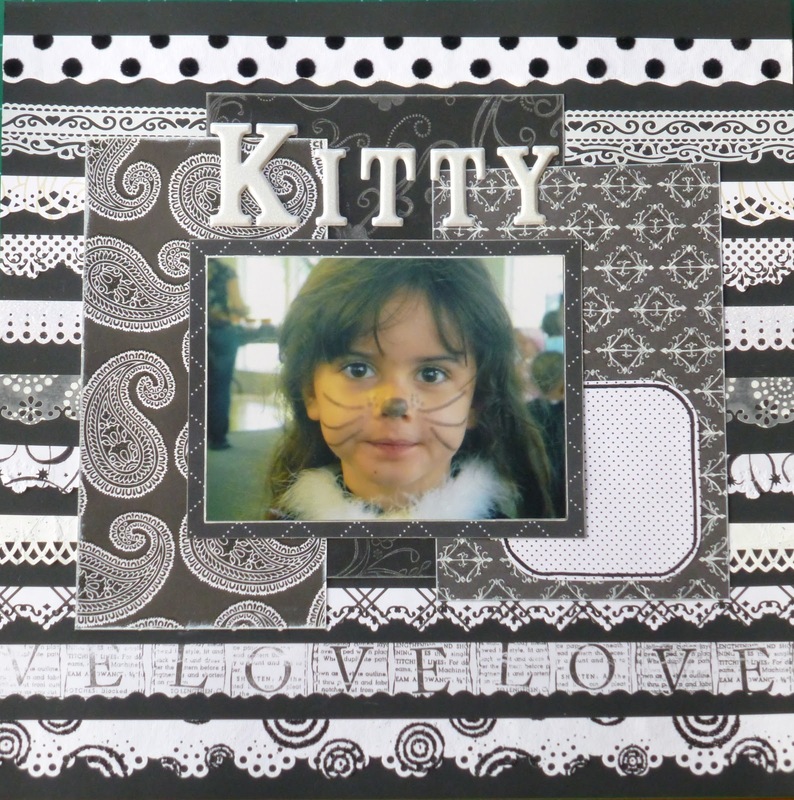 So, to stay in the mood of Mardi Gras, here is a layout in black and white, with a picture of my youngest cat. I made this page for a workshop, to show my students how to use their border punches AND their leftover paper strips.